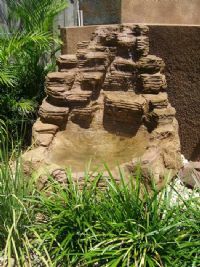 Fake rock? 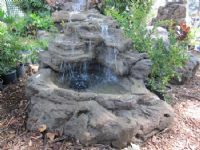 No one will ever say that your Prorock self-contained waterfall doesn't look real. 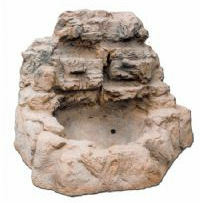 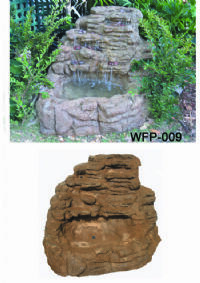 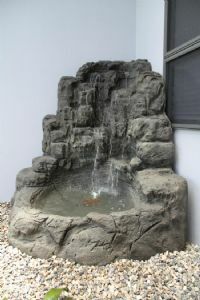 The versatility of the self-contained, realistic waterfalls lends itself to any location; be it a small courtyard, a rock garden, or an already established themed garden. 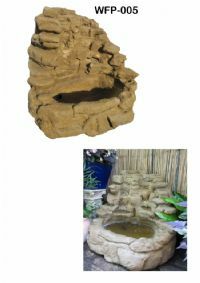 L1020xW950xH1070 Approx Weight 15 kg Rec Pump SIZE 1200 LPH This waterfall is easy to in stall,look good with plant around it.the pump is in the back of the watefall so it is out of sight and easy to get to.